Last night, I droveÂ home from Richmond after castingÂ votes on what may be two ofÂ the most significant legislation coming out of the 2011 session of the Virginia General Assembly.Â Â The House and Senate unanimously adopted the conference report onÂ amendments to the biennial budgetÂ and also passed Governor McDonnell's transportation bill on a bipartisan vote. Now, you may be wondering why I was in Richmond last night when it was a Sunday.Â Well, that's because the General AssemblyÂ missed our deadline by one dayÂ to concludeÂ our business!Â Under the rules we adopted on the first day, the legislature was supposed to adjourn sine die on Saturday, February 26.Â Since the budget conference did not strike aÂ deal until 2 am on Sunday morning, we extended the session by 24 hours. Last nightÂ was interesting not only because it was a rare Sunday night in the House Chamber, but also because we adjourned the regular 2011 session only to gavel back into a special session within seconds of adjourning, to beginÂ the redistricting process.Â Redistricting Committees will meet between now andÂ Monday, April 4, when the entire General Assembly will return to Richmond to begin deliberating onÂ whatever legislation is ready to be considered on the floor. As I mentioned inÂ my last email, I have no controlÂ over the redistricting process as I do not serve on the committee that will consider the issue, nor do I haveÂ much influence as a member of the minority party in the House. Because I am uncertainÂ of what my House district will look like, I have decided toÂ hold off on making any decisions about my political future until after the lines are drawn.Â There is a likelihood that redistricting may result inÂ two or more incumbent Delegates having to face off in aÂ Democratic primary election. 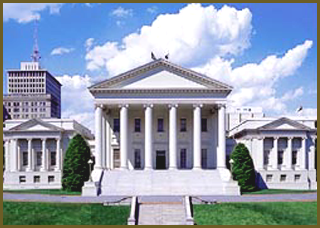 I have been honored and privilegedÂ toÂ hold this office over the past yearÂ andÂ I would like to continueÂ to serve in the House of Delegates.Â Yet, this is one of those moments where my decision will be influenced by many factors beyond my control.Â Therefore, over the next few weeks, I will be discussingÂ the options with my family and supporters and will announce my plans for reelection inÂ April. In the meantime, you can be sure that I will continue to work hard to represent the good folks in the 35th District as your state representative in both the legislative policy and constituent service roles.Â Â WhileÂ IÂ return to my "day job" tomorrow after being on unpaid leave of absence for the past two months, my office in Vienna will be fullyÂ staffed and we will continue toÂ handle everyÂ need of our constituents. We are alsoÂ working to updateÂ our website which will soon feature more campaign-related information as well as upcoming events and meetings where I will be attending.Â I hope you will check it often for latest news and information about your state government as well as follow the political life of elected officials like me as we enter the campaign season. Thank you as always for your interest in our work.Â I am humbled and honored to serve you, and I look forward to seeing you soon. Â P.S.Â I will be providing an updateÂ on this legislative sessionÂ tomorrow nightÂ at the Springfield District Democratic Committee meeting and on Wednesday lunch at the Vienna Rotary Club.Â If you would like for me to provide an update to your organization or group of constituents, please contact my office at any time!